We proudly welcome to you this Antique French Console, an exceptional piece of furniture that includes a console table with a writing surface in leather, and a cherub design upper section with drawers. The mahogany frame is hand carved and then finished in gold leaf. 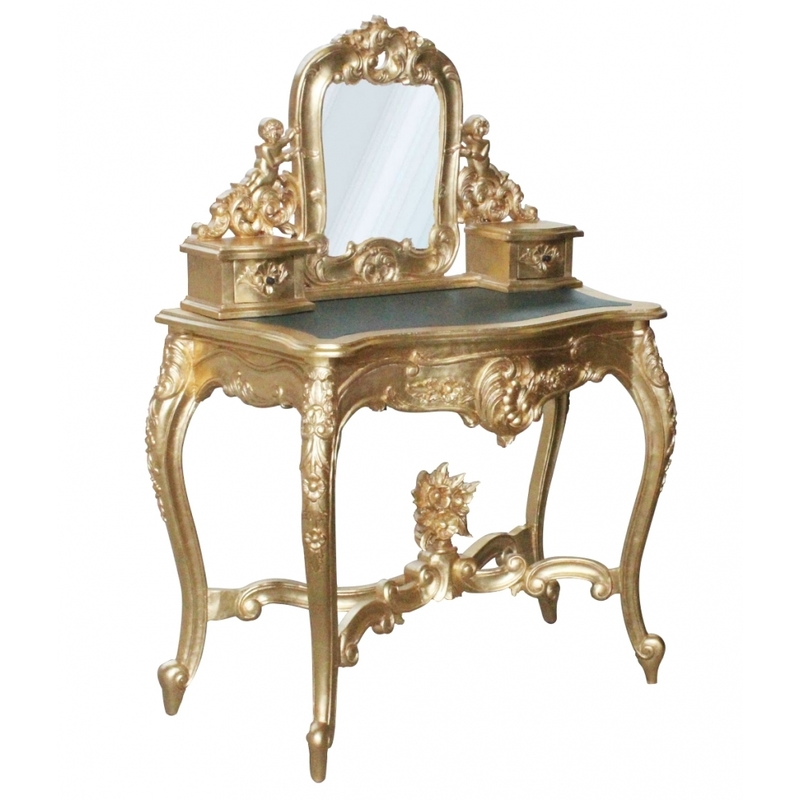 this stunning console table is a fabulous example of the baroque / rococo period style.